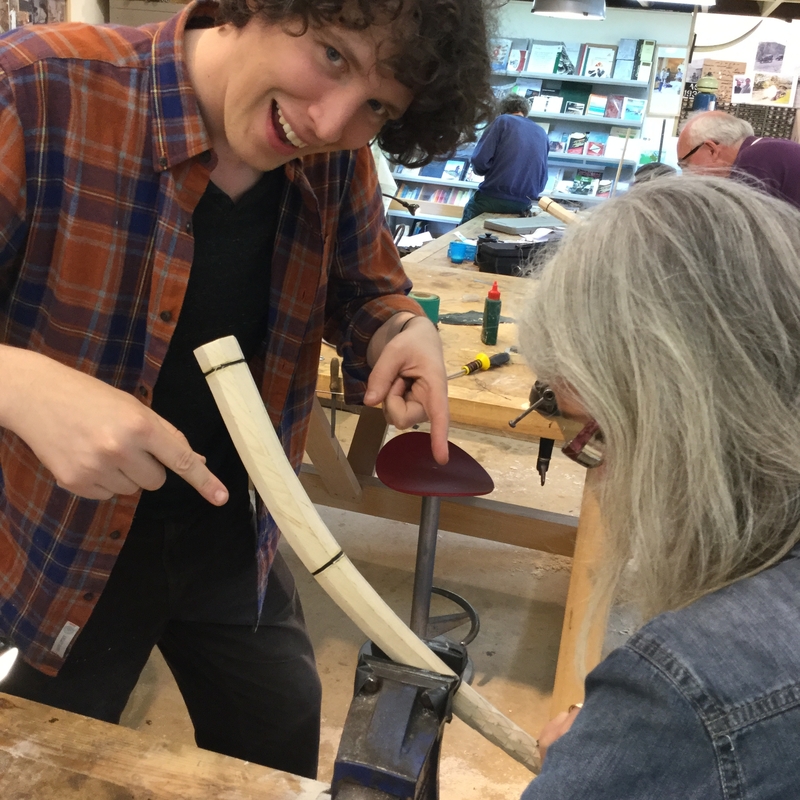 Course overview | Make your own wooden Cornetto with Sam Goble and Andrew Hallock. 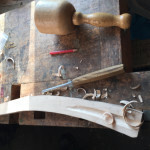 During this four day course you will make a cornetto from a blank piece of wood, carving the bore, shaping the outside, cutting the diamonds, drilling holes and finally covering your instrument in leather. You will use historical methods and copy historical instruments at A=440, A=466 or A=440. We will discuss bore theory and supply a tuning guide. Instrument type | Students will have the choice of making copies of original treble instruments in museums either at A=440 or A=465 OR an alto at A=440. We hope to also offer cornettino options in the near future too and please ask if you have your own request and we will see if we can incorporate it. Materials | Maple and leather. Sam Goble | Player and maker of Conettos and other historic brass instruments. Sam studied instrument playing at Trinity College London and instrument making under Nicholas Perry. 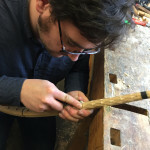 He is now in demand internationally as an instrumental teacher and we are delighted that we can provide Sam and his colleague Andrew Hallock, a workshop to pass on their instrument making knowledge and skills. Andrew Hallock. Countertenor Andrew Hallock actually began his music life as a composer, graduating from the University of Texas in 2001 with a Bachelor’s in music composition. Andrew has been a regular member of Cappella Pratensis since 2010. In addition to singing Andrew is also an instrument-maker, building cornetti (a type of Renaissance wind instrument) in his waterfront atelier in Rotterdam. 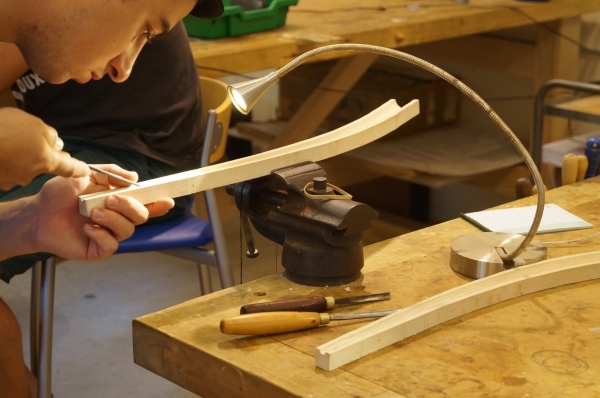 The course fee covers all the materials, use of tools and expert tuition. It also includes some lunches, light refreshments and some evening meals. The finished cornetto will be yours to keep. Depending on progress made during each day, some times may run later into the evening. What to bring | You will need to wear workshop appropriate clothing; no tassels, closed toe shoes etc. Aprons and overalls are available. Remember glasses if you need them, the work involves looking at small details. If you wish to bring any of your own tools please make sure they are marked or labelled. NB | Please note that this course will only run if we have a minimum of four participants. Should we cancel the course due to lack of participants your deposit would be refunded.